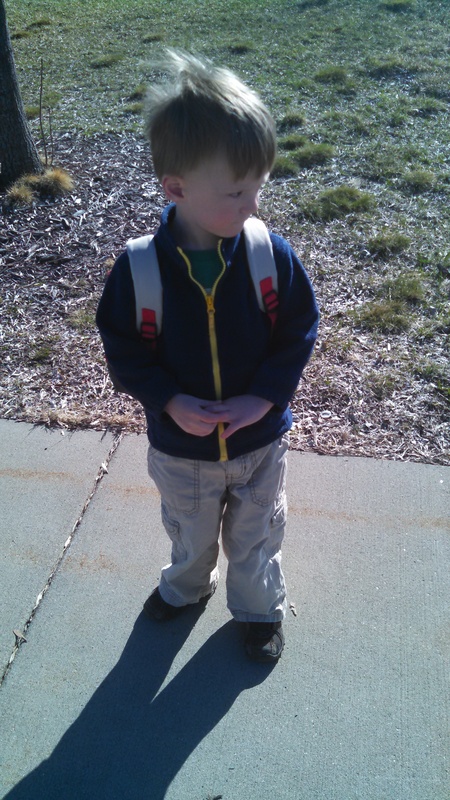 Jax is enrolled in a Transition to Preschool class through our school district. It’s a class for kids who are enrolled in the Birth to Three Early Intervention system and are about to turn three (and “graduate” from services). 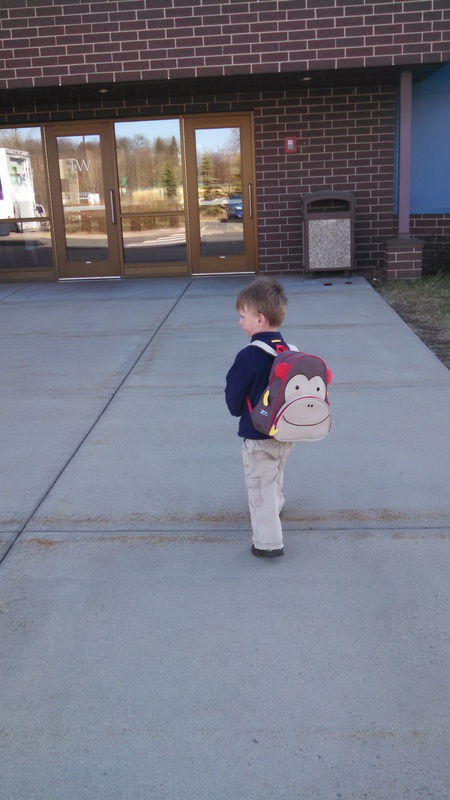 The class has two purposes: to get Jax used to the school setting and to allow his therapists and teachers to evaluate his needs for fall preschool. 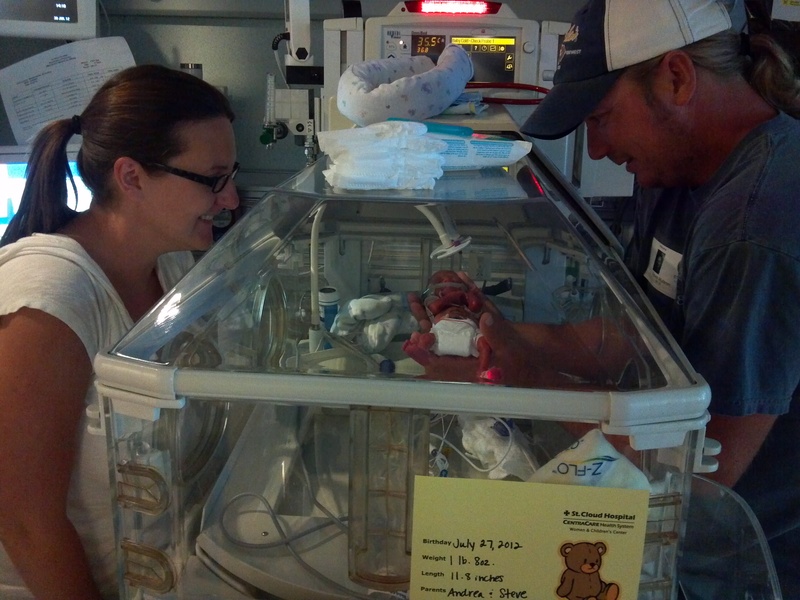 The data we gather in class will help his teachers decide if he qualifies for special education preschool in the fall. 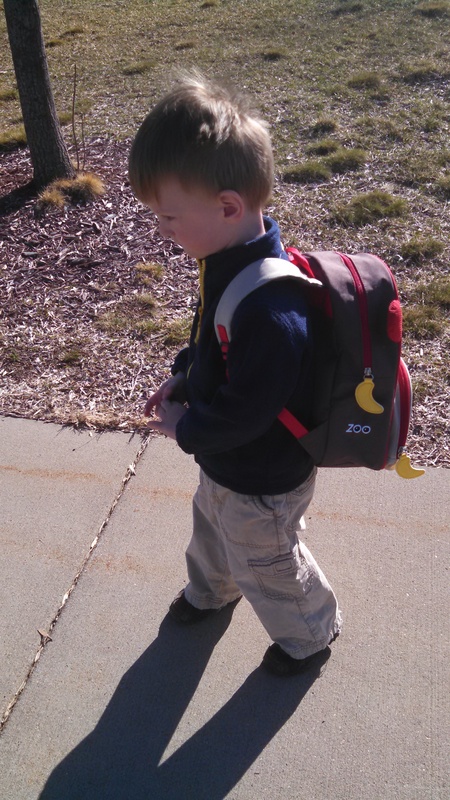 He wore his backpack for the first time – such a big boy! 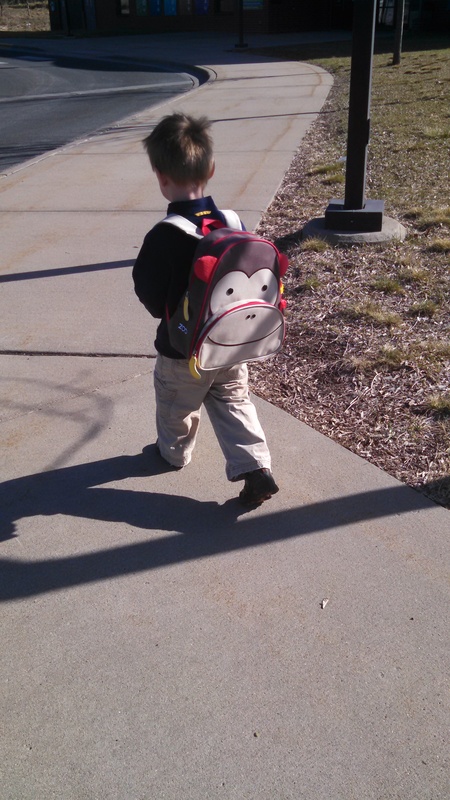 I have to say, seeing Jax walking to school with a backpack like such a big kid….brings tears to my eyes. So doggone proud of that kid!!! How Cute! Thank you for sharing! That is so cool! Very necessary so that he gets all that is coming to him to meet his needs.Love ❤ the backpack 🎒! Hugs to you all!